Well that didn’t go exactly as expected, did it? As our buddy “dE” points out, it’s “system depth.” Even with taking players from Trenton, that team from New Jersey beat our AA brothers in Reading in four games. Sheesh. We’ve talked about that over on the hockey side–that injuries and call-ups are always going to happen. You need quality players at every level who are capable of moving up and contributing right away. We see it with Wheeling and Wilkes-Barre/Scranton in hockey. We’re seeing it with Trenton and Scranton now. The Phantoms have put together a nice group for this season, and seem to have come capable guys for Reading as well, so we’ll see how that works out. For the Phillies in the minors, they do have waves of prospects due to pass through East Allentown in the next several years. Not all will make it. Not all will be good. But the sheer numbers suggest that we should have some quality talent. Beyond that, it will be up to the organization to sign free agents and use their waiver advantage to augment the talent at AAA and MLB levels. They’ve already started this with guys like Phil Klein and Taylor Featherston. They were also able to get some quality relievers and a veteran guy like Cedric Hunter. This needs to continue, of course. There are some veterans needed of course, and some guys may or may not be back. Starting pitching should again be a strength, and that bodes well for winning in the International League. Of course, the Moosic Mashers should still be a force in the division. But there’s some serious talent there, even before we start signing free agents and claiming guys off waivers. Now that we’ve covered the baseball part, I’ve been thinking about how the organization can plan a little better for a 2017 playoff run. I understand, of course, that it’s a long season, and anything can happen, and we’re not guaranteed of a post-season spot. It’s not like in hockey, where 4 of 7 teams in the division make it. Staffing: Look, I know it’s tough when the seasonal employees head back to school. I know the regular staff are tired after a long season. And I know they won’t start firing people with five games left next season (I do?) next year. But keep playoff games in mind while hiring for depth the same way the baseball organization has to plan for having enough players. Running around with your hair on fire in September is nobody’s idea of fun–not for fans or for staff. Food and Drink: This is another tough one, of course. You don’t want to be running out of things down the stretch and you don’t want to have a bunch of leftover stuff go to waste, either. Use evidence from this season to tweek ordering down the stretch in August. Plan for some specials or alterations in the menus to use things up or to distract from things that have to be removed from the menu. Just a random example: If hot dogs are $1 I might not notice that chicken sandwiches have been removed from the menu–and it gets rid of the extra hot dogs. Carry forth the “fan appreciation” discounts from the final game. There are ways to use this to both create a “special-ness” as well as be efficient in this profit center. Promotion: There’s not much time to do promos; getting the rally towel ready was a good thing. It might be tough to arrange for anything else, but here’s an idea: a grab bag giveaway. Put previous giveaways, T-shirt toss leftovers, koozies, the random signed ball or novelty item, leftover card sets, etc. -all in paper bags and give away like 3,000 of them. // I thought the team did a pretty good job getting the word out about the games and when they were. I tried to help. I know there’s still a misconception that the games are sold out and that tickets are tough to come by–that’s a difficult one to overcome because you really want folks coming out to these games. The big players in the media need to be cajoled into publicizing not only the playoff games, but the run up to it as well, which will help August attendance and increase pre-sale for the playoffs. Ticket Prices: I’m not sure there’s a winning strategy here. Giving away tickets like Columbus did will fill the stadium, but then there’s no going back from that, and you cheapen your product. That also can create an atmosphere which the baseball fans detest: Free ticket fans don’t always respect the game very well. What about raising prices for the playoffs? Stay with me here. Would the threat of higher ticket prices in the playoffs convince more folks to buy the ticket packages or at least single playoff games in advance in order to get the tickets for less? Probably not, and it might create some bad will. I was just thinking outside the box. Merchandise: Evidently, no one remembered 2011 when they ran out of T-Shirts 100 times during the playoff run. The lack of playoff merchandise probably did hurt them a bit, as I encountered many people who couldn’t get a $22 T-Shirt in their size and didn’t bother trying four times (like I did) to get one on one of the re-orders. Having two designs, plus the hat, and having the staff wear them–along with photos of players wearing them–was a fine strategy. However, with the margin those shirts command and their “favored nation” status with Majestic, and two guaranteed home playoff games, there’s no excuse for not having plenty of shirts to sell. There might be other opportunities here as well if we’re thinking ahead. Jerseys with playoff patches on them? (ooh, we could do that with the 10th anniversary logo as well…) A commemorative ball? And golly, if we win the Governor’s Cup, there’s all manner of “Championship” merchandise you could sell. And we’d buy it, too. Game presentation: They did have bunting up, but they didn’t introduce the players and coaches or change the logo on the field or do anything to really create a playoff atmosphere around the game and the stadium. The fans tried to, but alas the game flow prevented it somewhat–especially the second game. The crowd was getting into it, though, in the first game with Ben Lively’s performance on the mound. I thought the ops guys were a little heavy on the music and cheer stuff Wednesday–not that they shouldn’t do some, but let the fans get stuff going on our own a bit. Even if it feels a bit empty with the smaller crowd, everyone is into the game more than the other distractions, and word of the atmosphere will spread and increase ticket sales in seasons and playoffs to come. They could have done better here. Some of this stuff doesn’t really cost much, but you have to have the plan ready and the staff available to carry it out. The tickets are already bought and paid for: I’ve paid for 6 playoff games in 3 years already–and been to none. The first couple games are included in season ticket plans and that would virtually guarantee a large crowd. The Phantoms are still in the “honeymoon” phase of their Allentown tenure. Playoff baseball in 2009 or 2010 would have drawn better than 2016. Hockey fans: Also different. See #3 for why they might be drawn to such a product. So there you have it–the 2016 baseball season is over. I always think about writing a retrospective, and going back to that cold Friday in April when we were camped out in the press box to watch baseball in an empty stadium. Or those cold days in Reading when the Phillies came to play the prospects, and the Fightins beat the IronPigs. I could put in the milestones and litter the post with superb Cheryl Pursell photos. But alas I’m too tired and too sad and hockey is coming. I’m looking forward, not backwards, as the 2017 “10th season” of IronPigs baseball promises to be another special one. The future is bright, as long as the Phillies and the Management don’t screw it up. Ruf is arbitration eligible after 2016— great website to look at contracts and future obligations is Cots Contracts. Actually the ONLY player under contract for the Phillies next year is Matt Harrison, and he won’t pitch again. So as of October first the Phillies have ZERO players under contract for 2017. Do they give up on Asche also? One more quick thing Kram, since you mentioned people think the games are sold out, why inflate attendance numbers so much? The 613k this year was embarrassing. What that means is on an average night there was 1000 people in grass! I realize every level and team inflate numbers, but for what reason. The real attendance through the gates this year was 374k — which is an awesome number of 5500 a game. Almost every team in the league would love that, HA, especially down here in Florida were we never see over 1000 per game. I’d love to know the source of that 374, but I don’t doubt you one bit. In fact, for the number of tickets that I either bought or traded for–and didn’t use–I’m probably complicit in any attendance embellishment that goes on. As for why? Supply and demand. If tickets seem more in demand then they hold higher “value.” It’s difficult to hide in the playoffs, though, when you’ve got to start selling from scratch with no corporate, comps, season tickets err–memberships, etc. The Lehigh Valley IronPigs should be commended for a record-setting International League season in terms of wins and losses, no question about that. It is unfortunate that Bacon USA took such a pounding from the intra-state rival Scranton Wilkes-Barre Trolley Frog Rail Monkey Whatevers in the playoffs. But professional athletic competition has always been a very unforgiving thing and that simply is just the way it always has been and will always continue to be, as well. Look at the Buffalo Bills of the Jim Kelly, Thurman Thomas, Allentown’s very own Andre Reed and Bruce Smith Era — just getting to four Super Bowls was great stuff but that is not what that group will be remembered for. The exact same can be said for the Minnesota Vikings of the Fran Tarkentown / Purple People Eaters Era and there are countless other examples from other sports, too. If professional athletes find all this to be extremely unfair — they are always free to go out and get a job in “the real world” and find out how unforgiving things can be in that particular realm, of course. Go, fight, win — or get your resume together. “Tarkenton” … Jeez, and to think the guy was a childhood hero. Can’t even spell his name right anymore. Damn, I’m getting old. 1. Staffing – All seasonal help should be hired for a week prior to Opening Day until the day after the AAA Championship game (one day we’ll make it and they can have a viewing party like at the all star game). Leaving early puts your ability to get a positive job reference in jeopardy. Back-up plan: Recruit charities to assist in consession stands for a % of the sales. Half the stands close early in the game anyway, let the volunteers go watch the end of the game and consolidate paid staff into the remaining open consessions. Bonus, fans of the charities (Miracle League, VIA, pick any little league, etc..) may buy playoff tickets to support their organization. 2. Food and Drink – Honestly I find this to be a problem all season. Unable to buy a pretzel in the 6th inning in April because they’re sold out and won’t make any more (or go downstairs and bring more up to meet demand). Take a page from the exiled Philly Pretzels and sell leftovers for cost at the gates as people leave if the open stands have too much waste. And why close everything so early? We got to Game 2 just in time for the anthem, I got up around the 4th inning to finally eat and all of the right field concessions were closing already. Would be less of a big deal if that wasn’t the only option for some items (like garlic fries). It’s like my wife called and they’re actively trying to keep my money in my wallet. 3. Promotions – Order 10-15,000 generic “Let’s go Pigs!” Rally towels in case of playoffs (or lack of sponsors for playoffs). If no playoffs, save for next year or do an unannounced fan appreciation giveaway on last game. Was disheartening as a fan unavailable for game 1 due to kid’s school obligations to see towels at game 2 and not be able to get them. 4. Ticket Prices – First, eliminate the game day surcharge for playoffs. Why discourage more fans from coming last minute. Second, Groups that bring more than x fans during season are entered in a raffle for free/discounted playoff tickets. To determine the number, find the average size of groups, add 10%, and that’s who is eligible for the playoff raffle. Encourages groups to sell more in season, and gets more butts in seats to sell concessions/merchandise/parking in playoffs. Select the groups 48hrs before game once sales are well forecasted. If sales are low, select mutliple groups. That’s how you do free tickets without cheapening the product or setting unrealistic expectations for future. Third, rethink the no refund policy. credit for next year is only appealing to season ticket members. Other fans may not want to tie up funds for next year in September (also may lose tickets, etc). Or offer a bonus for not demanding immediate refunds, like next year’s ticket is loaded with credit, or one playoff seat gets two seats next year. Last, if season ticket members buy their same seats for the playoffs, put the loaded credit on them like in the spring. It obviously is working out for them to do it in spring, and a nice reward for making the playoffs for the members. 5. Merchandise – From my conversations with Majestic Store employees, that “most favorite” status may be more perception than reality. Might be worth looking into. Also, could take extra towels from game 1 for sale at game 2. Special playoff Pork Illustrated issues for sale would be cool and easy to execute as well. 6. Game Presentation – Is the bacon behind home plate permanently affixed? Can the grass no longer have designs mowed into it? MLB usually paints the playoff or world series logos in foul territory, we can’t even do that much? Player introductions are nice, but if you’re late or on tv you don’t see that like you see other things. Don’t be surprised if some of our “ideas” end up in the plans for seasons to come. “Magically.” Nobody ever admits to reading, but the word always gets out somehow. “An intern had an idea” –yeah, OK.
1. The staff thing is indeed difficult. If they make it a condition of employment, they’ll have trouble filling the spots or folks will just quit “at will.” It’s not like they’re paying that much. Your idea of the charity support is a good one. Perhaps it’s a bit advanced and would require some work to set up. If they were willing to spend some bucks, perhaps just use a temp agency? Goes back to my rec: have a plan. Also, think again about firing people with five games to go. 3. They did have leftover rally towels at the main gate on the second game. I only used that gate because I was trying to spend money on T-Shirts. That could have been why you saw them. 4. Your ticket ideas are very good. You could allow STH (err, members) to use unused credits or rain credits to get additional tickets, too. Some of us are “IronPigs Evangelists” and would be happy to spread tickets around in the community without resorting to the Columbus “free” tactic, exactly. Pride gets in the way a little bit here, but there are some things to be done. They should be talking about it now, was one of my core points–like when they have their fall staff retreat and brain storming session–is what I’m trying to say. Don’t try to think of this stuff last minute and you can’t enact anything because you’re short staff’d and time crunched. Have pre-packaged plans to get this stuff done. 5. The “most-favored” is more a macro thing than anything the store staff may be aware of. Minor league teams are responsible for outfitting their players–they don’t pay them, of course the MLB team does. 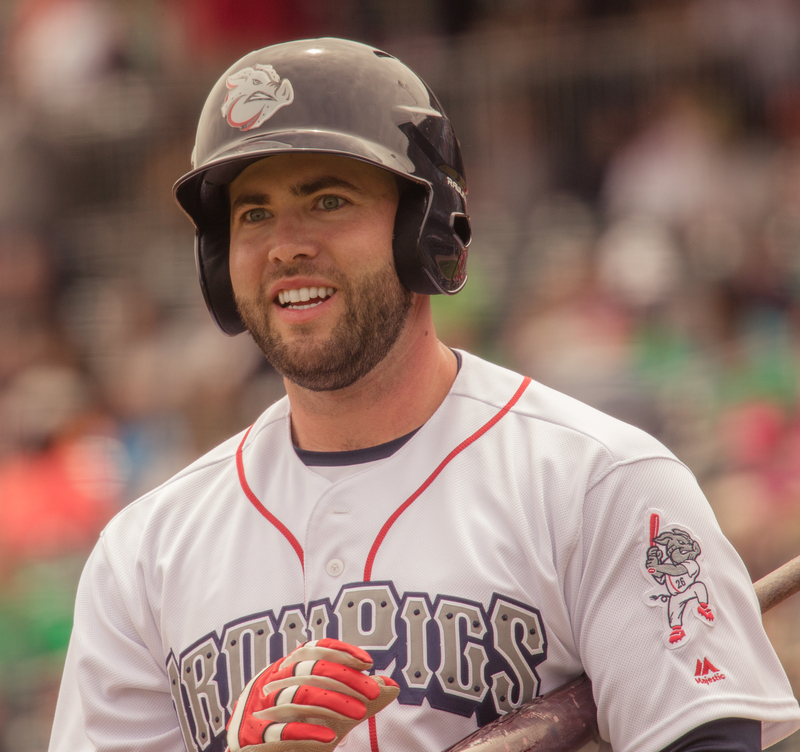 The IronPigs are the only team in the country allowed to use their own outfitter, rather than the approved Wilson or Russell. Majestic has the store naming rights, and the team has restrictions on what brands and types of merchandise they can carry based on what was negotiated with Majestic. Based on these things that I’ve learned, I assume they can get a really, really good price on T-Shirts. A couple years ago we did a T-Shirt fundraiser with NoiseNation and were able to get 2-sided, 2-color Gildan heavy cotton printed in a small run for about $8 a shirt. It was a sweetheart deal, but still I would guess a large IronPigs run with Majestic on their own-branded shirts, front only, although 3 colors, would be much cheaper. Let’s say $5 a shirt? Could be less. With most discounts either used or expired, they likely got the entire $22 for most of them that were sold. That margin should be enough to encourage them to order more. Not to mention the experience of 2011. But trying to pinch pennies they went short to avoid waste. They lost sales and irritated customers. Not a good combination. Surplus could be used for T-Shirt launch next season or spiffs for staff and suite holders or whatever. We have how many colleges in the LV? They could find some kids with 12 month leases in town all summer willing to work, or kids at NCC or LCCC living at home and local all spring, summer, and into September. Hire local! And the key to getting them staying is to withhold references. Who would work all summer for $50 and a t-shirt and not stick around the extra week to get the reference (the real value proposition for the job)? Charity volunteer workers are so easy McDonalds can do it, “celebrity” bartenders can do it, even places like Dorney Park have (or had) charity volunteers. No need to reinvent the wheel, just copy someone else’s program. If they had playoff rally towels and gave them away instead of selling them, I’m now 100% convinced they actively tried to not make money with the playoffs. I’ve seen other giveaways for sale in the store (pork race bobbleheads years ago, team baseball card sets), I’d have easily paid $2-3 without blinking. PLEASE TAKE MY MONEY YOU FOOLS! Bottom line I can’t tell if I’m disappointed because from the beginning the Pigs seemed do most everything the right way and executed it well and now it’s just not up to that standard, or if these mistakes are signs of deeper organizational issues. They set a high mark early on for the fan experience (after the parking mishaps of the first game against Phillies) that few other places could surpass locally. From these playoff misteps to Philly Pretzels fiasco to flying pigs and everything in between, I can’t help but feel priorities are changing and/or standards are slipping. So I complain out of love, in hopes that the ship can be righted before it gets worse. I agree with all of it. While not even close to playoff hockey, playoff baseball is intensified and has an aura about it. Each pitch matters, each at bat matters, each play matters. Coca Cola Park did nothing to enhance or sell that. They acted as if their entertainment marketing regular season was over and the playoffs were a burden. I didn’t notice the bunting until the second game. Asked people to wear red. They sold red t-shirts. No field markings, no player announcements. The Red Barons played aggressive playoff baseball. The IronPigs did the first game but acted like a cold April night the second game. Its sad more fans don’t attend for the baseball vs the entertainment. Playoff baseball should have brought people to the gates vs barely 4k. I have no doubt when the Phantoms are in the playoffs the PPL Center will be close to a sell out and the building will be rocking. Why does the school year have such a big effect on baseball. Why does the school year seem to have little to no effect on hockey? I think it does–it’s just less evident because so many of the games are on the weekends. Certainly, the mid-week hockey games in the AHL get less than the weekends–hence the prevalence of 3-in-3s in order to stack the weekends. Also, while the Phantoms are certainly very family friendly, I think hockey in general is more of a sport geared towards adults and it’s more expensive. Those factors may insulate somewhat at this juncture and help assure larger crowds on “school” nights. Finally, there are so many more baseball games–approximately twice as many home dates–end of the season fatigue has to play a role with the more casual fans. And that’s the final point–baseball depends on those casual fans, while hockey tends to have a more dedicated fanatic base. Another thing to consider – if the players don’t really care, the fans aren’t going to care. Let’s face it, the MLB needs a SERIOUS increase the salaries for all minor league baseball players, across the board. It seems like by September a lot of the players are just going through the motions (maybe realizing they weren’t getting that callup like they thought) – granted you could blame the players for that effort, but after making 2,500 (or something like that) per month for the past 5-6 months, I’d probably want to get home and start supplementing my income. On the flip side, the salaries in the AHL are significantly better from everything that I’ve read/heard. It’s no surprise that you see a lot of AHL teams stocked with players in their late 20’s/early 30’s, with each team seeming to always have one or two guys above age 35. In the AHL, a guy can actually make a living for their family, whereas in AAA, they really can’t. It is true from all my research over the years – veteran AHL hockey players make significantly more than veteran AAA baseball players do. I certainly can remember putting together salary information for the 2009 Lehigh Valley IronPigs together and I recall Andy Tracy was making something like $ 115,000 for minor league service. For a player with his Major League service and track record of producing at the AAA level, it is fair to say that Tracy would have been earning at least $ 200,000 if not a little more if he had a comparable veteran skating in the AHL five or six years ago. Miele and O’Neill have “one-way” contracts with the Flyers organization while the salaries listed for the other three players reflect the monetary compensation for minor league service as per their individual “two-way” deals. It is very interesting to note that defenseman Will O’Neill is entering his sixth year of professional hockey and still has never been called up to the National Hockey League even once in his career. And yet, the Philadelphia Flyers were still prepared to guarantee the former University of Maine blueliner an NHL salary all season even if O’Neill doesn’t skate one single NHL game (which he probably won’t). The reason why the Flyers organization would do this is because the free agent who was lured away from the intra-state rival Wilkes-Barre Scranton Penguins really is a top shelf offensive defenseman with a proven track record of production at the AHL level. O’Neill has reached that point in his career where his agent can say to the Flyers, “If you don’t give my guy a one-way deal, the Washington Capitals can be trusted to make sure that the intra-state rival Hershey Bears don’t stink up their barn.” Meanwhile, the Flyers organization obviously appears to have adopted a more serious attitude when it comes to competing for some top shelf AHL free agents, as is evidenced by the salaries they are paying not only O’Neill but Miele, as well. Interesting stuff – thanks for the info. Without any facts, I’m willing to bet the NHL big clubs are 4th out of 4 in terms of profitability amongst the big 4 professional sports out there. If they can find a way to make this work, then I don’t see why baseball can’t. I’m virtually certain that the NHL ranks fourth in terms of profitability as compared to America’s traditional Big Three (baseball, football, basketball) … I recall that Mike Cervenak – an established AAA performer – was only making like $ 90,000 for the IronPigs in 2009 and I remember thinking that was ridiculous as compared to what a proven veteran comparable to Cervenak would be getting for playing in the AHL because, just like Tracy, he would have been commanding a salary of $ 200,000 or so. I think the biggest reason why baseball doesn’t pay its top shelf minor leaguers anywhere near as well as hockey does is because that hockey faces far stiffer competition for the top shelf minor league players from foreign teams in Europe as compared to what baseball receives from foreign teams in Asia. This because Japan and South Korea are really the only two countries that pay out lucrative contracts with Taiwan being a step behind. But the Alpine countries (Switzerland, Germany, Austria, Italy) starting getting serious about luring top shelf AHLers in the late 1970s – early 1980s and nowadays professional teams from traditionally strong countries such as Russia, Sweden and Finland also routinely sign quality veteran minor leaguers in North America, too. In short, I think there are far more ‘rich’ pro hockey teams outside North America than there are ‘wealthy’ pro baseball teams outside North America and that is what creates the “stiffer competition”.